First lady of fashion! 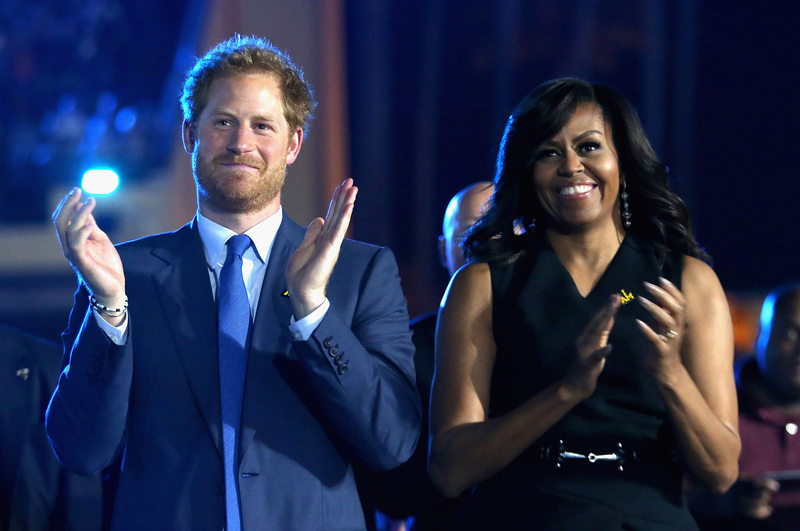 Michelle Obama helped Prince Harry launch the Invictus Games 2016 in style at the opening ceremony in Orlando on Sunday, May 8. FLOTUS, 52, wore a tailored BCBG tunic, teamed with crisp cigarette pants. She cinched her waistline with a skinny black belt, and accessorized with dangling earrings and patent kitten heels. Meanwhile, the prince, 31, who created in 2014 the Paralympic-style sporting event for veterans around the world to compete in, looked sharp in a blue suit, teamed with an even brighter blue tie. Obama couldn&apos;t say enough about her royal companion for the evening. 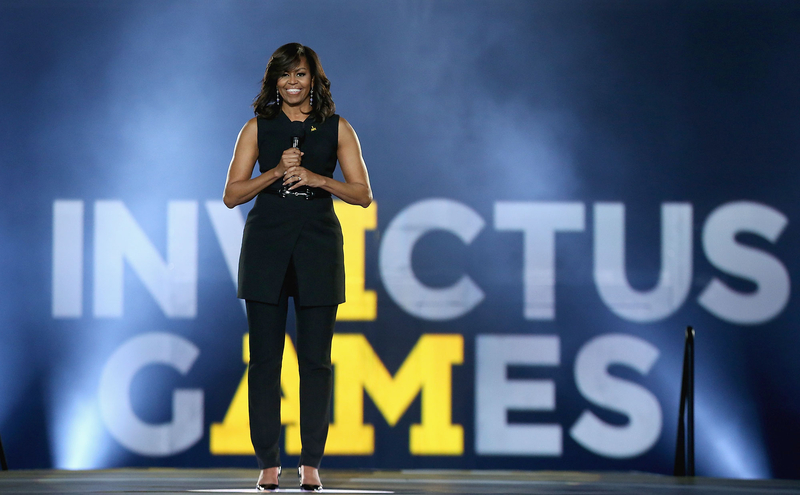 "It is truly an honor to be here tonight to help kick off this year&apos;s Invictus Games," the first lady told the crowd. "I want to, of course, start by thanking Prince Harry for his outstanding leadership and for bringing the Invictus Games here to Orlando. He is truly our Prince Charming. He should be proud of his work." For more on the Invictus Games, watch Red Carpet Daily, presented by AT&T. And stay tuned for more style scoop, including all the details on Selena Gomez&apos;s glittering Revival tour bodysuits. Plus, swoon over Emily VanCamp&apos;s ladylike Captain America: Civil War promotional tour style — including the peach Carolina Herrera stunner she wore to the Paris premiere.